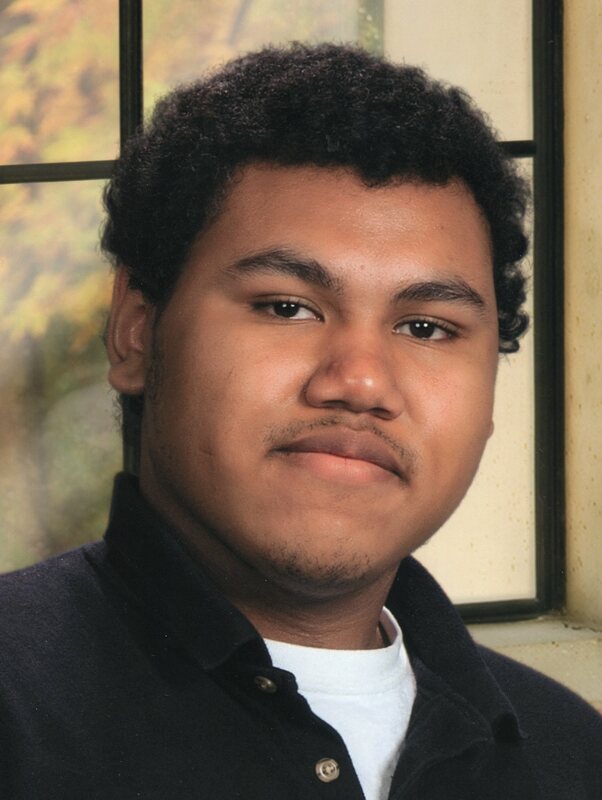 Malik Edwards, 19, of Fremont, OH passed away unexpectedly on Saturday, February 10, 2018 at St. Vincent Mercy Medical Center. He was born on November 4, 1998 in Fremont, the son of Demetrius Edwards and Monica (Moreno) Hunt. Malik was currently attending Fremont Ross High School and Vanguard Tech Center (Medical Careers). He enjoyed video games and spending time with his family and friends. Malik was in the process of enlisting with the U.S. Navy. Malik is survived by his father, Demetrius Edwards, Findlay, OH; mother and step father, Monica and Phillip Hunt, Fremont, OH; brother, Elijah (McKatlyn Garcia) Edwards of California; grandparents, Betty Edwards, Findlay, OH, Aida (Thomas Milton) Ayala, Fremont, OH and niece, Guadalupe Edwards. He was preceded in death by his grandfather, Cardell Beachum, Sr.
Visitation: Friday, February 16, 2018 from 2 to 4 and 6 to 8 p.m. at Wonderly Horvath Hanes Funeral Home and Crematory, 425 E State St., Fremont, OH. Graveside service will take place on Saturday, February 17, 2018 at 11:00 a.m. at Oakwood Cemetery, 1225 Oakwood St., Fremont, OH. I’m so sorry to hear about Malik. We went to school together since elementary. It breaks my heart to think that he’s gone. Our hearts are broken for you! Sending love, hugs, and prayers to you now and always. We are so sorry for the loss of Malik. I am so sorry for your loss. I used work with him and I really enjoyed working with him. My thoughts and prayers are with your family at this difficult time. Meach, I am so sorry for your lose. May God be with u and your entire family at this time. My heart goes out to you guys words can’t express how sorry we are.. God bless. Words can’t express how sorry we are for your loss, May God comfort u in your time of need.. If u need anything, dnt hesitate to call. Demetrius n Monica I am so sorry for ur loss. I pray the Lord keeps u wrapped in his loving arms to get u guys thru this time of grief. I am so sorry. Malik was a friend to my daughter and so kind to her. I pray that all those who loved him can find comfort in their shared memories. Our condolences to all the family. We are praying for each and everyone of you. God bless you all in you time if need. You cousin from Brownsville, Texas. We were so sorry to hear of the loss of Malik. We are holding you all up in prayer with each passing day. If you need anything don’t hesitate to let us know. Much love being sent your way! i miss him every day. such a sweet boy.